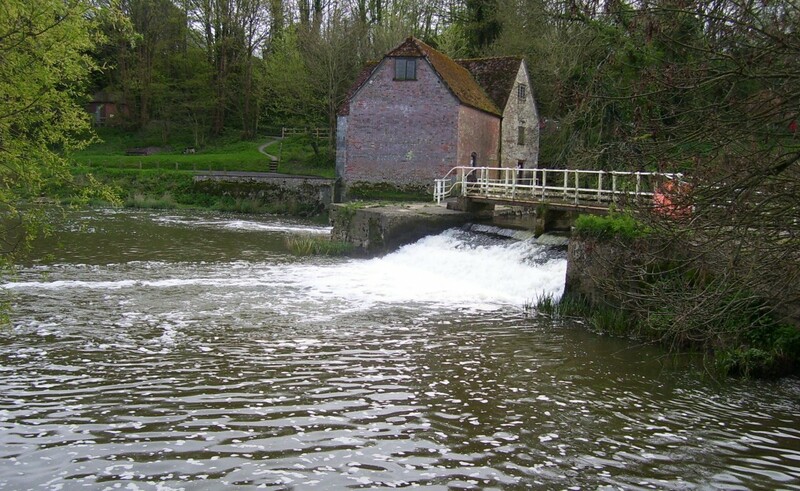 PICTURE POSTCARD: This is Sturminster Mill in North Dorset. Will the quality of the village like here be effected if new development is targeted in brownfield sites rather than expanded to the Green Belt. Critics say developers find it more profitable to develop on the countryside. UNDER THREAT: This is the view looking down from Glastonbury To towards the town. Will this see more development as Glastonbury and Street combined are expanding at an alarming rate? 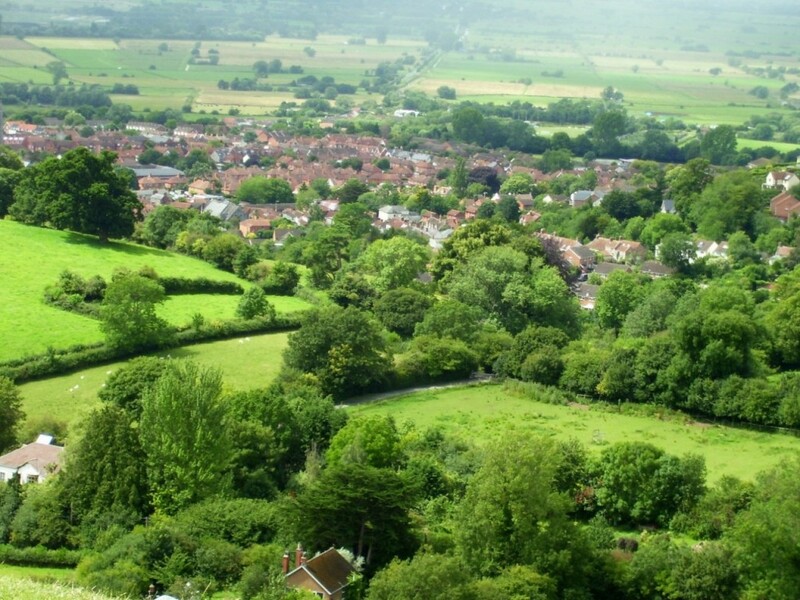 PLANS to build more housing on the Green Belt to combat increasing demand appears to be splitting rural opinion in Dorset, Somerset and the rest of the country. Research carried out by the University of the West of England on behalf of the Campaign to Protect Rural England has identified the capacity to build nearly one million new homes on brownfield sites. Concerns have been expressed that going down this road are prohibitive due to the costs of doing the environmental clean-ups to facilitate the redevelopment of these sites. The university research suggests 976,000 homes could be built on these plots of land, yet this is an under-estimate given it only highlights suitable land already derelict or with planning permission. It doesn’t include underused land that could be used such as car parks or new brownfield land that could become available. Half the available land is in London and the South East. Planning data from the 82 local authorities that provided figures for 2011 and 2012 indicate that in the period 2010-2012 the total amount of suitable brownfield land actually increased by 67 hectares despite 1658 hectares being redeveloped. Having studied at agricultural college, I remember being told that for community cohesion, you need to use land wisely when planning for infra-structure and development and get the right balance between recreation, food production and wildlife conservation for open spaces. You might also like to know that National Empty Homes Week has just finished. The website wants to encourage local authorities to reduce the long-term number of empty homes and refurbish some of them to be put back into use and also empty spaces above shops. This would be a partnership between property owners, housing associations and community organisations. What I have found very frustrating is that there is very little information that shows what the number of vacant properties could be put back into use as previously there was data for the whole country for each local authority. Some do have this information though. According to government figures, in England there are 635,000 empty properties with 216,000 of them having been empty over the previous six months. A report by the Blackmore Vale Magazine in December 2011 said that there were 354 properties in North Dorset that had been empty for six months or more and could accommodate up to 825 people. Sedgemoor District Council has a designated empty property officer and the authority says there are 1,100 empty properties in Taunton Deane, Sedgemoor and West Somerset districts. The officer’s role is to encourage owners to bring them back into use through formulating an action plan. CPRE’s planning campaign manager Paul Miners says this: “This research demonstrates the huge existing capacity for housing on brownfield land. At a time when there is great pressure on our green spaces, utilising this land through a brownfield first policy would protect our countryside and regenerate urban areas. These are two comments posted on a thread attached to an article highlighting development in the countryside in the Farmers Guardian, most of whom were worried it would split villages. In the article NFU deputy president Meurig Raymond spoke of the need for sustainable development and needing modern buildings to increase capacity for food production. One contributor wrote: “The NFUs comments are code for the Union’s support for megadairies, megapiggeries, wind farms and housing development on green belt. “Again the NFU is supporting the sort of unregulated development in the countryside that will bring the whole of farming into disrepute with the general public. “Planning reform is needed but an unregulated free-for-all will damage our farming interests in the long term. Another said: “The NPPF will hurt farms, even if it doesn’t hurt farmers because developers are already offering large sums to farmers for their fields. So food production could, would, reduce.